Rapid Transformational Therapy (RTT) is NOT hypnosis BUT RTT uses hypnosis. Hypnosis is very good at getting the mind to change, it is very good at exciting the imagination. Exciting the imagination to make you believe that you are indifferent to chocolate, alcohol or people that hurt you. The other thing about hypnosis that is so powerful is it’s ability to take you back and to look at life events; because if you understand why you do as you do then you then you will be able to stop. You do not know why you procrastinate, put things off or sabotage yourself. In hypnosis you understand why you do this, that in itself will change you. And many many other things too. Reactivating the phenomenal confidence you were born with, while getting rid of all the fear especially the fear of being judged. Which is another thing that no baby is born with in fact a baby’s first experience is being judged, everyone looks at them and so RTT is so many many things and it has a layering effect. Each technique makes the next one even more powerful. Part of it is hypnosis. What I do is get you to do the things you really want to do but have been held back from, and gets you to give up those things you really want to give up but have not been able to. I understand the Brain’s need to keep going to what is familiar, and to keep resisting what is unfamiliar. People who have never had love resist it, People who have never had money get rid of it, it sounds bizarre, but as tribespeople we were wired to stay with what is familiar, because we were safe. I find when I work with people and get their mind to be really excited about the unfamiliar and excited about giving up what is familiar (if its harmful) like never being able to chair a meeting, having no self belief, never having love or being smart with money I can enable you to get your mind to give that up. Most of RTT is really understanding how the mind works, it is cutting edge, it is innovative, it is very new, and it gets results in one session. I have clients that have been on drugs for twenty years and more who having had one session with me are now drug free. Clients who have never had a loving relationship after one session with me attract to them the love of their life, alcoholics who thought they would die from drinking and after one session turned their life around. This is because I’m working with their mind and looking back at the root cause of their issue, why they believe they are not good enough, not loveable and then enabling them to understand why their mind has locked onto that belief and then eliminating it and replacing it with a belief of an unshakable confidence that they are enough and they are lovable, and that everything is available to them. Including the life, health and love they want and deserve. 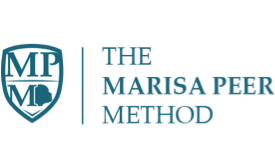 RTT is some hypnotherapy, it is a lot of Marisa Peer’s own different modules of therapy, it is really effective. Don’t be afraid of hypnotherapy and RTT it does not send you to sleep it wakes you up –its amazing!